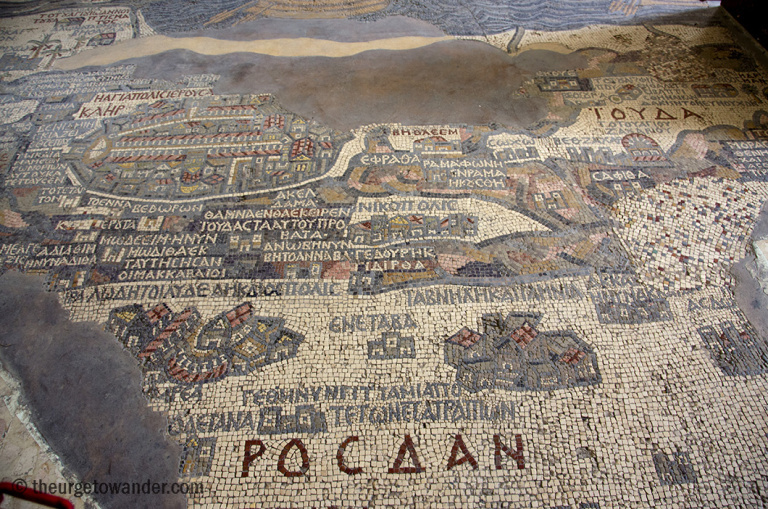 The Madaba Map is a mosaic map that was originally integrated with the floor of a 6th century Byzantine church in Madaba, Jordan built at the height of the Eastern Roman Empire. 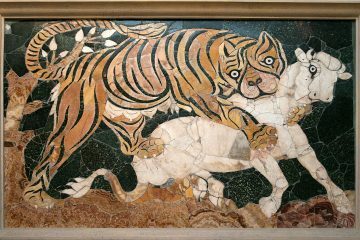 The map discovered in the 1880s and was subsequently re-incorporated into the Greek Orthodox church of St. George, where is remains today. 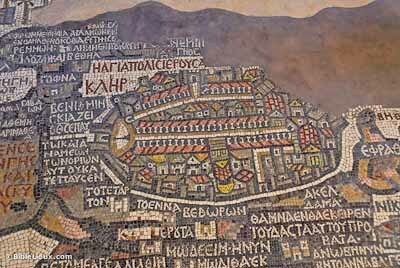 Though some parts of the map are now missing, the mosaic depicts remarkably specific details of the Holy Land with Jerusalem in the center, including individual buildings and gates surrounding the city. The map spans the geography from Lebanon in the north to the Nile delta in the south. The map is the oldest cartographic depiction of the Holy Land preserved today. 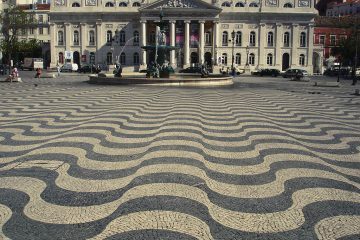 The entire map measures 21 by 7 meters and consists of over two million mosaic stones. Four shades of red, six shades of blue and green can be distinguished from the mosaic tiles. The map is oriented east rather than north, which is consistent with the biblical hebrew orientations. The Christian influence of the time is highly indicative in the map. Several features and symbols of the map represent those of Christian significance. While the map is relatively proportional and realistic of the buildings and city structure at the time, Jerusalem is centrally placed and completely out of proportion with the rest of the map. However, its prominence is proportional to Jerusalem’s historical and religious significance in Christianity. The placement of two fish on the map, one swimming back from the Dead Sea and one swimming towards it in the Jordan River, indicates to historians a meeting place for Christians, primarily because the Dead Sea is inhabitable to fish life. The Church of the Holy Sepulchre disproportionately stands out in the map, similar to Jerusalem. 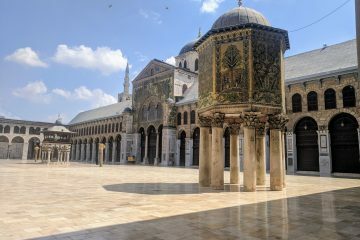 In contrast, the Temple Mount Plaza suffers from diminished significance, resulting from the influence of the Byzantine Christian Empire, symbolizing the Christian ideology of Christianity triumphing over Judaism. Bethabara, now known as Bethany-beyond-the-Jordan, is commonly thought to be the location of John’s baptism of Jesus and is clearly depicted in the map. 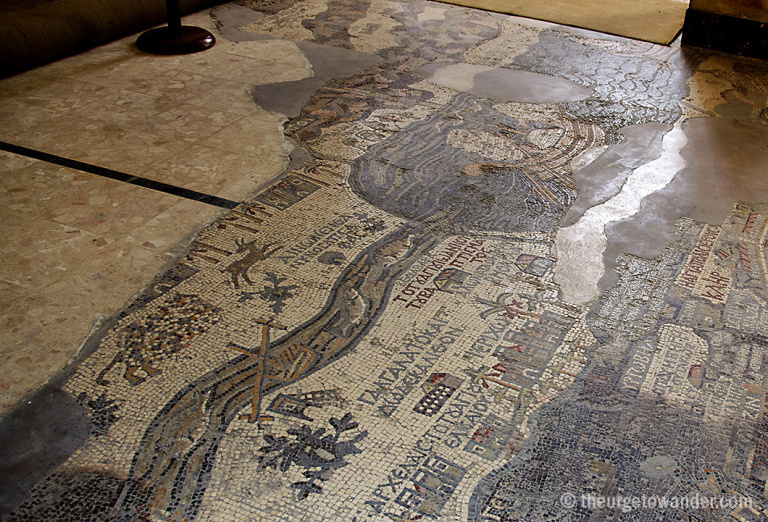 To enhance the spiritual experience of those visiting the church that the Madaba map was originally located in. The map would have stretched from the altar, where the priest would have been, to the congregation. 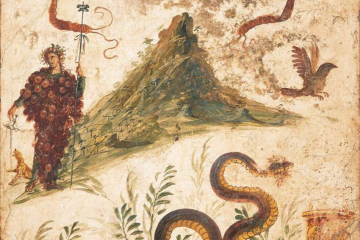 To represent Moses’ vision of the Promised Land. Madaba would have been episcopal see of the bishopric to which Mount Nebo belonged, where Moses saw the Promised Land from. To aid pilgrims in their religious travels. However, portable alternatives were available at the time. “Madaba.” See the Holy Land, Greek Orthodox Church, n.d.
“The Madaba Map.” Jerusalem Municipality, Municipality of Jerusalem, n.d.
Rogoff, Mike. 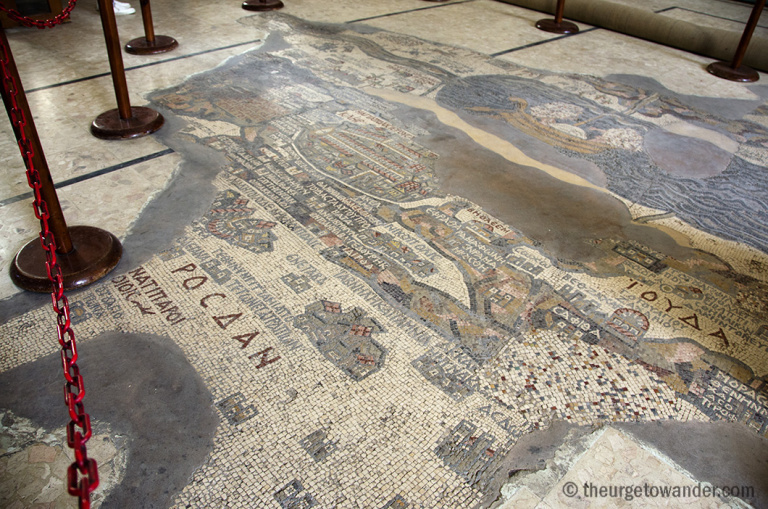 “A Mosaic of Jerusalem on the Ancient Madaba Map.” Haaretz, Haaretz Daily Newspaper, 26 May 2013.